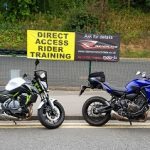 Ridesafe is owned and run by chief instructor Roger Stanley, a highly experienced motorcycle training instructor who has been riding bikes since 1970. His riding and training credentials are impressive - advanced qualifications and membership of RoSPA to gold standard, the Institute of Advanced Motorists and the British Motorcycle Federation Blue Riband Award plus Drivers Instruction Association (Examiner Level). 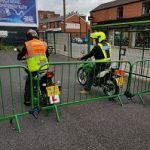 Plus, having been a Driver and Vehicle Standards Agency, Direct Access certified instructor for many years, he also holds teaching certification to City and Guilds 7307 NVQ level 3 as well as achieving British Motorcycle Federation Assessor status. 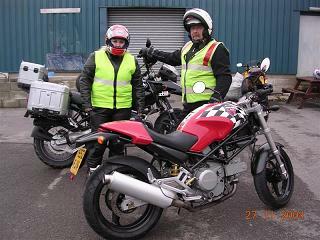 Also completed May 2007 (Driver and Vehicle Standards Agency Register of Post-Test Motorcycle Trainers) (RPMT). 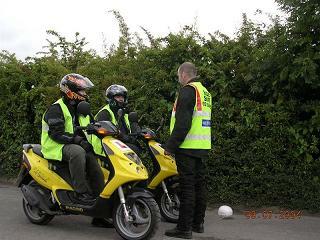 At Ridesafe all our instructors are DVSA approved and qualified up to the Drivers Instruction Association standards and RoSPA. 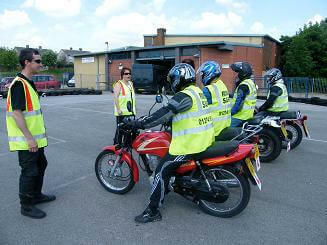 All instructors are check tested on a regular basis by the DVSA to ensure the quality.
" From no experience what so ever, Ride Safe got me through my test and on the road." "Just got home with a PASS!!! Thanks to Ride Safe, 3 weeks ago I was just wishing I had my license before the summer - Now I've got it and I've just got to find a bike. " 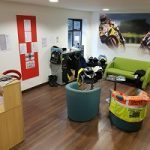 "I would like to say thank you to Roger and the Ridesafe team for your help throughout my motorcycle training. Special thanks to Richard on his great lessons and for getting me through my direct access test 1st time. "